Shell is a group of companies dealing with petrochemicals and energy, spread in over 90 countries and employing more than 93,000 people. Owned and operated by the Netherlands-based Royal Dutch Shell Corp, the conglomerate is popular for its gasoline stations, energy and fuel products, and a wide range of credit cards for individuals and businesses. 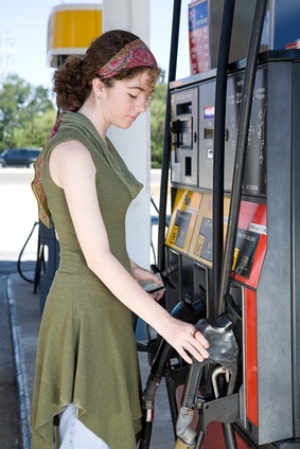 If you are interested in gasoline credit cards, you could consider Shell credit card products available through Citibank. The conglomerate promises that using Shell credit cards to fill up your car is most rewarding, especially owing to the fact that Shell credit cards are accepted all over the world. Unfortunately, they are available only in Brazil, Canada, Czech Republic, Denmark, Greece, Japan, Malaysia, Norway, Philippines, Poland, and United States, which means that you need to be a resident of one of these countries in order to apply for a Shell credit card. The official Shell website not only offers comprehensive information regarding Shell products and services, but also has an online Shell station locator so that you can locate the closest Shell service station in no time. Shell credit cards offer excellent rewards whenever you purchase a Shell product and form one of the best ways to purchase fuel and other products. Shell credit card products are available in two categories, and you can choose as per your requirements. If you own a business featuring a fleet of vehicles, you can go in for a Shell business credit card; and if you are an individual looking for a rewarding way to fill up your car with gasoline, you can go in for a Shell personal credit card. The Shell website lists out 3 personal credit card products for you to choose from — the Shell Drive for Five Card, the Shell Select Member Card, and the Shell Platinum MasterCard. All Shell personal credit cards offer card holders facilities of $0 liabilities on unauthorized charges, free online account access 24/7, ATM access, flexible payment terms, worldwide acceptance, along with the convenience of paying at the pump. If you get a Shell Drive for Five Card, you can use it to purchase a minimum of 45 gallons of Shell fuel products and save 5 cents on every gallon you purchase. If you get a Shell Select Member Card, you can get 10 percent cash back on hotels and motels, 5 percent cash back on car rentals and airlines, $1000 emergency cash and/or prepaid airline ticket, plus travel reservations. You will not be charged any annual fee for Shell Drive for Five Card, but will have to pay $25 annual fee on your Shell Select Member Card. The Shell Platinum MasterCard allows you to earn 0.5 percent rebates on all qualifying purchases plus 5 percent rebates on Shell gasoline purchases. You can apply for a Shell credit card at shellcreditcard.com, which will re-direct you the Citibank website. While online applications get a quick response, applications sent through mail will get a response in 30 days. You will get your Shell credit card within a fortnight.